If you are a Diesel clothing fan, Surplus is your one stop shop. You can score great deals on Diesel denim, footwear, clothing and accessories. From samples to the regular season's products, merchandise is heavily discounted. You will be pleased to fine a great selection of styles and sizes to suit anyone's fashion tastes. Besides the discounted Diesel clothing, they also have many other premium brands with prices that you will love. Go look for designers labels: G-Star, Scotch & Soda, Maison Scotch, GSUS, Sully Wong, Carrera, Lucky 7 and more. 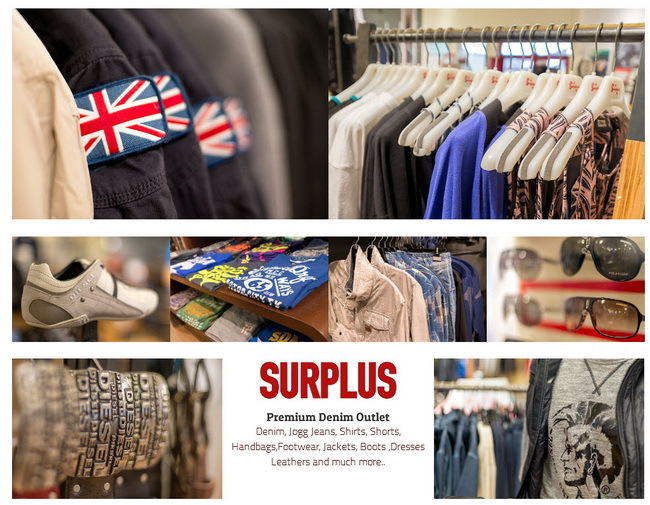 Surplus has five locations to help you find all your fashion needs. In addition to these everday deals, make sure you don't miss going to their famous sample sales which are held twice a year.